It seems like yesterday that we were dreaming of you. Last spring, God laid it on our hearts that our family wasn’t complete quite yet, and we began to dream of what life would be like with another little one in the house. Now, we are close to your arrival, and Mommy is a little emotional. You see, before you were conceived I was worried about how my body would handle another pregnancy. My last pregnancy was filled with intense pain and resulted in back surgery when he was only 12 weeks old. Needless to say there was a lot of fear in getting pregnant again. There was also the fear of my body growing again. Because of the back pain and surgery after my last pregnancy, I’d lost a significant amount of weight in hopes to help with my pain. While it helped the pain, it also left me in a difficult place mentally expecting perfection out of my imperfect body. Shortly before you were conceived I walked away from the diet I’d been on and embraced a life of freedom without obsessing over my body and my weight. I was scared what that would mean for me. For you. For us. But, here I am 9 months pregnant and we have survived. We have done it baby girl. This pregnancy has been nothing short of a miracle to me. I have embraced my growing body and appreciated the way it has changed in order to carry you. When I found out that God had blessed us with a daughter, our only girl, I was not only a little shocked as I am used to boys… I also felt a great responsibility to you. 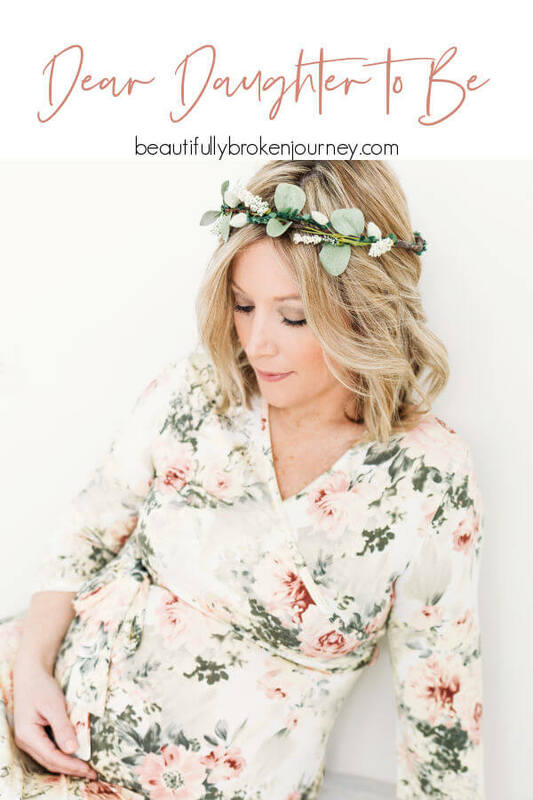 My mission is to help women see the beauty in their lives, as beautifully broken as they may feel. I want women to find peace with their bodies, with food and their stories and hold on to the things that really matter while we are here on Earth. Now, God was giving me my own sweet girl, as a constant reminder of who I am fighting for. I will remind you that you have more to offer this world than your appearance. I will remind you that you are fearfully and wonderfully made and you were brought to us on purpose and for a purpose. 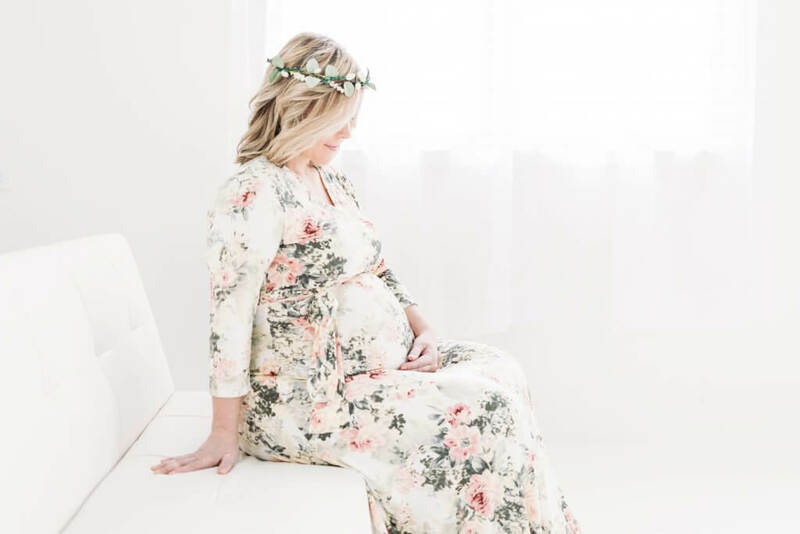 Sweet baby girl, as I dream about a life with bows and ruffles… I feel overwhelmed as all I have ever known as a Mother is trucks and dirt and balls. But, I’m ready for you. 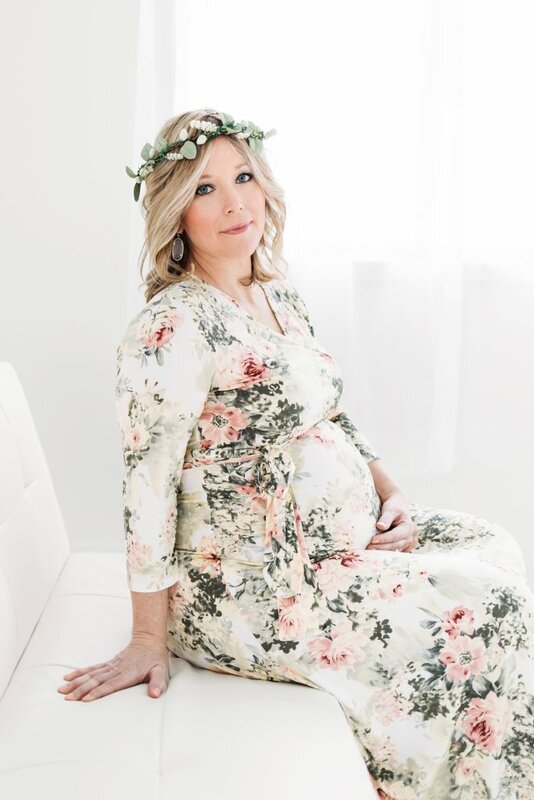 I’m ready to embrace a new season of motherhood. A season with 3 kids. A season where I will learn a newborn all over again. A season of sleepless nights and busy days. A season of exhaustion but filled with wonder and hope of who you will become. A season where I’ll watch your brothers and Daddy fall in love with you and I will fall in love with them all over again… because Mommy fell in love the moment I knew you were in my womb. I am so thankful for the blessing of carrying you and as I look back on our pregnancy I will do so with a grateful heart. You restored hope and helped me accept and appreciate my body more than I ever have. Your kicks and hiccups reminded me daily that when I take care of myself, I am also taking care of you. I can’t wait to look into your eyes and see myself in them. I’m so ready for this adventure, and so thankful you are completing our family. I never dreamed of being a Mother, but when I became one 7.5 years ago… God knew how it would change me. It’s the one area of my life I am the most confident in. The one area that tests me more than any other, but my children are my passion and my greatest joy and I am so thankful God knew what I needed and provided me with that, despite my fears. I am thankful for the gift of motherhood. I am thankful for my body. I am thankful the opportunity to allow it to show me just how beautiful it is to grow. If you tell Kimbra I referred you you will receive a $25 credit on your own photo session. « What is Diet Culture? Amy….what a beautiful letter to your sweet daughter and what beautiful photos of YOU!! Thank you for sharing and we cannot wait to meet your little girl!! This post brings tears of joy to my eyes. I’m so excited for all of you to meet your Baby Girl and Sissy. She is already loved more than she knows. I have loved watching you embrace this pregnancy and the thought of having a daughter. 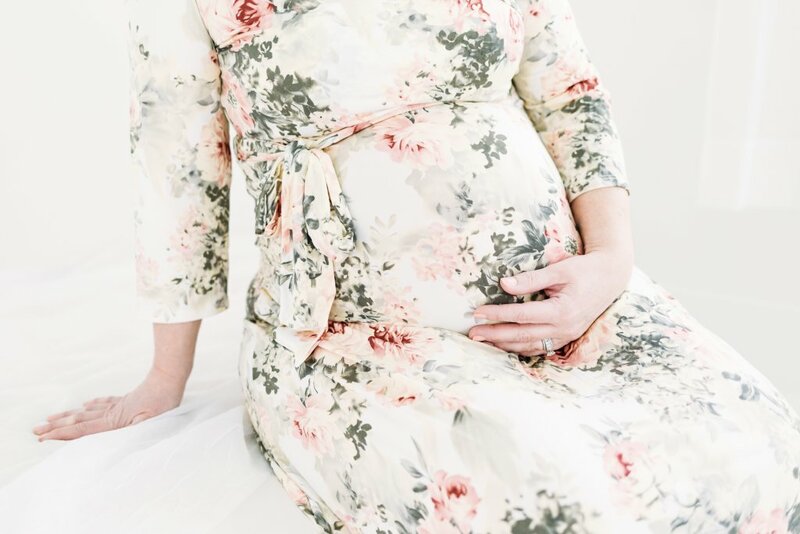 I will admit I was concerned after your last pregnancy but knew the back pain had been fixed with surgery and knew in my heart you were stronger mentally and physically to embrace this pregnancy. It won’t be long now and we’ll be holding Baby Girl in our arms and I’m so thankful for the blessings God has given you. I feel very blessed to be their Grandma, my grandchildren bring me so much joy. What a beautiful sentiment and affirmation of who you are and what you want in your life as well as your daughters. It is a treasure that I am sure will live if her heart a long time. We love you too, Holly!